Tutoring is on a drop-in basis, usually first-come, first-served, though the tutor may consider the length of questions when deciding who to help first. We usually have multiple students to help at one time, so please come prepared with specific questions or problems you want the tutor to address. Please bring lecture material and/or notes to the tutoring; it really helps the tutor get on the same page as you and your professor. All tutors can help with 200, 201, 300, and 301. 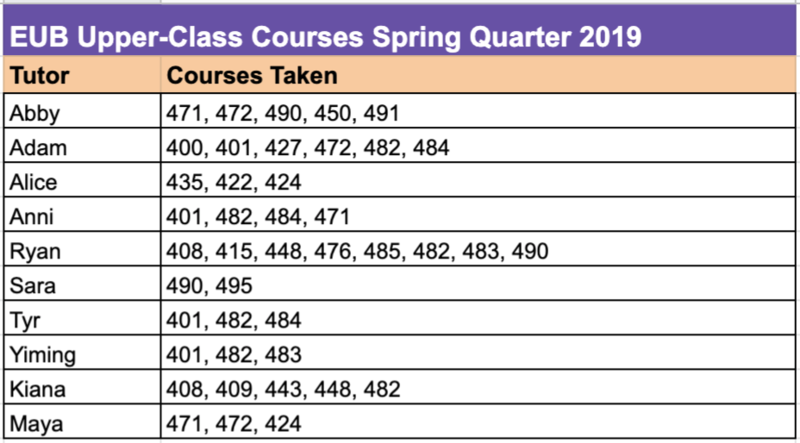 For help with other upper-level courses. EUB room location: Savery 328. 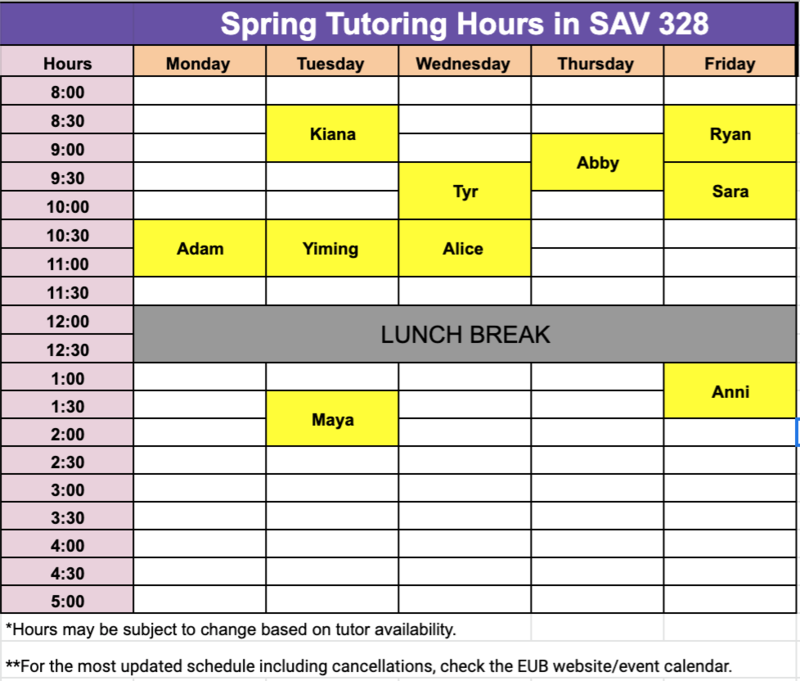 There will be a tutoring schedule hung outside the room for your reference, and it will be locked if no tutors are present. Private tutoring: We can help connect you with a tutor upon request. Some EUB members may be willing to offer private tutoring, so please contact us for more information. If you would like a non-EUB or graduate student tutor, we recommend sending an email to econ advising.